Tonymercury wrote: Its another great TfNSW demand suppressor, following on from years of similar 'successful' projects. People often have lots of contingency built into their personal itineraries. As one example, how often are medical appointments on time leaving people with an hour to wait for a return service? Or looking at it another way (from personal experience), how often are medical appointments starting late (sometimes very late - 2 hours wait at Sydney Childrens Hospital last week), then take longer than planned/finish late and you aren't ready for the prebooked return service. Swift wrote: With smart phone technology and the power of today's software, I can't see why the trip can't be malleable right up to the last minute. I think because you have to give people some indication of their expected arrival time at the end of their trip. TfNSW is conducting on-line research of On Demand users through Woolcott Research. I've found that for any ODT app I've downloaded I've received an invitation to participate, even if I have never travelled. thunderbird wrote: My experience so far with Transdev on Demand in Sutherland Shire. - It is difficult to impossible to book on the same day. Even the telephone operator has told me at the moment you need to book at least the day prior. - The app does not deliver what is promised. Originally the promotional material stated that the app would suggest alternative times to ride if your requested time was unavailable - it does not do this. So you are required to keep re-trying different times, possibly in vain, if the service is booked out for the day. - Whenever I walk past the bus while its operating in Sutherland, it is either empty, or has one passenger one it. (You can see through the tinted glass from the footpath). The five times I have used the service, it has been a direct run, with me as the only passenger on board. Has anybody, including @thunderbird, had any further more recent experience on this or any other On Demand bus? On-demand minibuses are providing about 600 trips a week in Sutherland Shire, with Westfield Miranda the most popular destination. Transdev, which was contracted by the state government to operate the service, said the number of bookings had increased by about 18 per cent a week since the service started in November last year. The Transdev Link service is on trial in four zones in the shire for six months and, depending on the response, for up to two years. The zones are centred on Gymea, Caringbah, Sylvania and Jannali West. Fares are a flat fee of $2.60 for adults, and $1.30 for concession card holders (pensioners, seniors, students, and apprentices). Miranda resident Brenda Di Lisio, 73, books a trip on the blue and white minibuses four to five times a week, mainly to go shopping and meet friends. ”It’s a life saver for me,” she said. “Previously, I had a long walk to the bus stop and it involved crossing Port Hacking Road at the Five Ways. “It could take me 10 minutes to get across. Driver Leanda Gavin, whose official title is “journey maker”, said the service had “changed a lot of people’s lives”. “They couldn’t get out before because they were not near a bus stop,” she said. Ms Gavin said it wasn’t just older people who were taking advantage of the service. She estimated 40 per cent of users were younger people, including school students. Transdev general manager, on demand transport, Yvette Mihelic, said, “Overall, we are pleased with our patronage growth, which has seen the number of booked trips increasing at around 18 per cent per week since November”. Ms Mihelic said the ratings reflected well on the safety, reliability and punctuality of the service. ”What has been particularly touching for the whole team are reports of how this new innovative and incredibly flexible transport offering has really been life changing for some customers,” she said. Ms Mihelic said the most popular destination was “Miranda Fair shopping centre, which falls within three of our zones, where we pick up or drop off around 21 customers on an average day”. Ms Mihelic said the drivers were shire residents, “who know the neighbourhood and the traffic”. .A Transport for NSW spokesperson said patronage growth in all the trial areas was “encouraging, and there has been continued positive community and customer feedback”. It's certainly a much more personal service than the local bus. I can't believe they are using an Uber style rating system. Will drivers get counselled if it falls below 4.6? Ridiculous. At least it will appease all the bus passengers that act like a route bus is their personal limo service and blame the driver when they forget to press the bell, or get on a limited stops service. This should remove a lot of those people. Does a computer programme guide the bus driver where to go, like a GPS? Does this Uber style rating system work both ways where drivers can reject passenger on the basis of their ratings. Though recently within the last few weeks UberPool launched in the inner west, CBD & Eastern Suburbs. Frosty wrote: . Though recently within the last few weeks UberPool launched in the inner west, CBD & Eastern Suburbs. Oh no it's here. Drivers in the U.S hate it and Uber use coercion tactics to get them to take these unwanted jobs. Passengers frequently subject the driver to abuse just for doing what the programme is designed for, picking up multiple jobs in the one trip. Sydney’s Inner West will have a greater choice of public transport when a new, permanent On Demand public transport service, operated by Transit Systems, launches on Sunday 1 July 2018. The new mini-bus service will operate from 6am to 11.30pm during weekdays and from 8am until 8.30pm on weekends. The service will be available across the Inner West area, including Rhodes Waterside Shopping Centre, Concord General Hospital, Mortlake, Breakfast Point, Cabarita, Canada Bay, Burwood and Strathfield. The route is designed to complement existing public transport by covering gaps between transport hubs, making it easier to get around the local community. 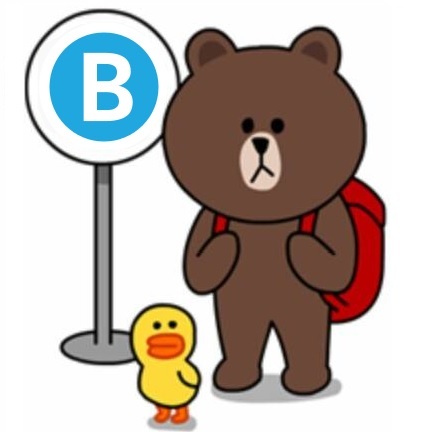 You will be able to book an On Demand public transport service from ‘ASAP’ to up to 48 hours in advance using the BRIDJ app, available via the App Store or on Google Play. After booking via the app, you will receive a booking confirmation with an estimated pick-up and drop-off time at your chosen locations. An On Demand public transport bus will then pick you up at your chosen location, and take you to where you want to go within the On Demand public transport area. A one-way trip will cost $3.10 for adults or $1.50 for concession card holders, including pensioners, seniors, students and apprentices. Fares can be paid via the app, using your credit card. Alternatively, you can use OpalPay to pay with your Opal card balance when boarding. 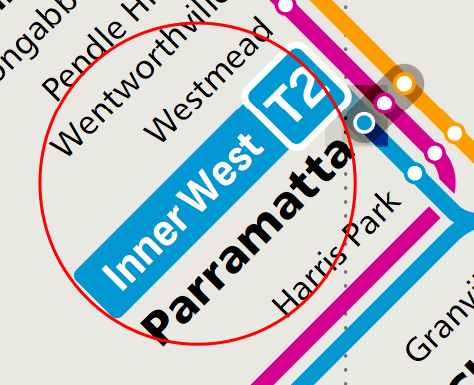 Jesus why all of the sudden is Parramatta and Rhodes called the 'Inner West', and why is the Government appeasing these residents by denying that they are not in Western Sydney? Where does it mention Parramatta? Those areas have been "inner west" for years. The biggest problem I have with these on-demand buses is the 100 different systems they are using which vary from region to region. Some don't allow payment by anything other than credit card, some do (by cash or Opal Pay). Some allow bookings to be made by calling on the phone (perfect for the elderly), while others don't. Some services have concession fares, while others don't. I think the fares are extremely low for what the service is, but when they aren't integrated into Opal, they have to be low in order to be viable. Because each region has its own monopoly on-demand transport provider, it is not an intuitive solution to have 100 different apps installed on the phone to cover all of Sydney. I think TfNSW must develop their own booking system, integrate Opal into the system and standardise fare rules for this to work properly. Ride Plus Eastern Subs buses I've found when not on use on weekend some are parked simply on the side of street. There was 3 parked along New South Head Rd outside Kincoppal-Rose Bay School. boronia wrote: Where does it mention Parramatta? But yes, I am hoping that OpalPay is only intended to be a transitionary mechanism to help non-opal services to become integrated with the rest of the fee structure to allow for intermodal transfers and those trips to be counted towards the number of journeys taken before 50% off fares for the rest of the commuting week. mubd wrote: The biggest problem I have with these on-demand buses is the 100 different systems they are using which vary from region to region. Some don't allow payment by anything other than credit card, some do (by cash or Opal Pay). Some allow bookings to be made by calling on the phone (perfect for the elderly), while others don't. Some services have concession fares, while others don't. I think the fares are extremely low for what the service is, but when they aren't integrated into Opal, they have to be low in order to be viable. Inconsistency.It's a NSW tradition. Why stop now? Hasn't it already been announced that the on demand buses, at least those run by the official regional operators, will be coming under Opal from 2020? The original On Demand trial was for 2 years. The Rural and Regional on demand trials are 6 month periods up to a maximum 24 months. I just noticed that the Carlingford and soon to be discontinued service offers free travel to those "with a Vision Impaired Person's Travel Pass, NSW Blinded Soldier Pass, WW1 Veteran's Widows Pass and Ex-Defence card." I wonder why this generosity doesn't extend to all the services? IF YOU think $4 is a bit much for a bus ticket how about $180 one-way for a 5km trip that takes less than 10 minutes? That’s how much critics have said each journey is costing on an innovative, but underused, trial of Uber-style on-demand bus services in Sydney and surrounding cities. Not that the bus passengers themselves are paying $180; a one-way trip costs around $3.50 for users. Rather, it’s taxpayers that are being slugged $180 with fares making up just 3 per cent of the cost of the service, according to an analysis by the NSW opposition. Rail, Tram and Bus Union (RTBU) NSW bus secretary Chris Preston said it was “unbelievable” taxpayers were forking out $180 per trip and that bookable buses were a “pie in the sky scheme” that hadn’t worked elsewhere in the world and would fail in NSW. But Transport for NSW (TfNSW) told news.com.au the trial had been a “great success” with 80,000 trips taken on the new system and it was always the plan to pilot different services to see which ones worked. As the number of customers increased, the government transport agency said, so the cost per trip would fall. Customers across Sydney can now order a bus to come to them rather than waiting at bus stop for one to turn up. Picture: AAP Image/Joel Carrett. Trials of the new bus system were launched last August across Sydney. They are designed to fill in the holes in the network standard buses and trains don’t fill. Instead of a timetable, passengers use an app to book a bus that comes straight to their door and links them to nearly transport hubs, hospitals or employment areas. The new vehicles have many features lacking from standard buses including Wi-Fi and charging points as well as being fully disabled accessible. “We have on demand movies, on demand food, and finally — NSW will have on demand transport,” Transport Minister Andrew Constance said at the service’s launch. But the number of people imagining life without a bus timetable has wildly differed across Sydney. While up to 1000 trips have been taken each fortnight on on-demand buses in the city’s eastern suburbs, in Wetherill Park in the city’s west not even 50 passengers use the service. In contrast, Sydney’s busiest standard bus route, the 400 from Burwood to Bondi Junction via the airport, transports 16,000 people a day. On demand services cab be ordered via an app and will then meet you. TfNSW has now announced the on-demand service for Wetherill Park, which sees passengers picked up from a standard bus stop and then transported up to 5km in any direction, will be axed next month. But a new network has opened up in the inner west. A freedom of information request from Labor MP Hugh McDermott found that around 4000 people used the on-demand services per month across Sydney, Newcastle and Wollongong. With the buses costing $714,000 a month to run that equated to a journey cost of around $180 per passenger. The figures suggest fares only represent 3 per cent of the cost of on-demand buses. While taxpayers also subsidise regular buses, the degree to which they do so is less, with fares covering a quarter of the service costs. The RTBU’s Chris Preston said the sheer cost of the trial meant it should be halted immediately. “This is almost unbelievable that the government are pushing ahead with a scheme which sees taxpayers fork out $180 per passenger, per trip,” he said on Tuesday. The on demand services in Wetherill Park, in western Sydney, have been so little used they will soon be axed. Part of the reason the service was so expensive, said Mr Preston, was because for much of the time the buses were running empty as they shuttled between jobs. A standard bus, in contrast, simply gets to the end of the route, turns round, and returns in the other direction with minimal so-called “dead running”. He said the trial was a “dud” and was destined “to go bust”. However, transport watchers have said the services are still relatively new while even normal buses sometimes run without passengers, particularly at the ends of routes or at less busy times. A spokeswoman for TfNSW told news.com.au that changes had already been made during the trails such as changing fares. “From day one of the on demand transport pilot program, the overarching objective has been to trial different service models that provide greater flexibility and mobility for customers. “The trials are helping to improve our understanding of how different models could improve customer outcomes and the innovative services they’re willing to try,” she said.